The Editorial Board of the School is responsible towards bringing out the SPACE Journal and the Newsletter. 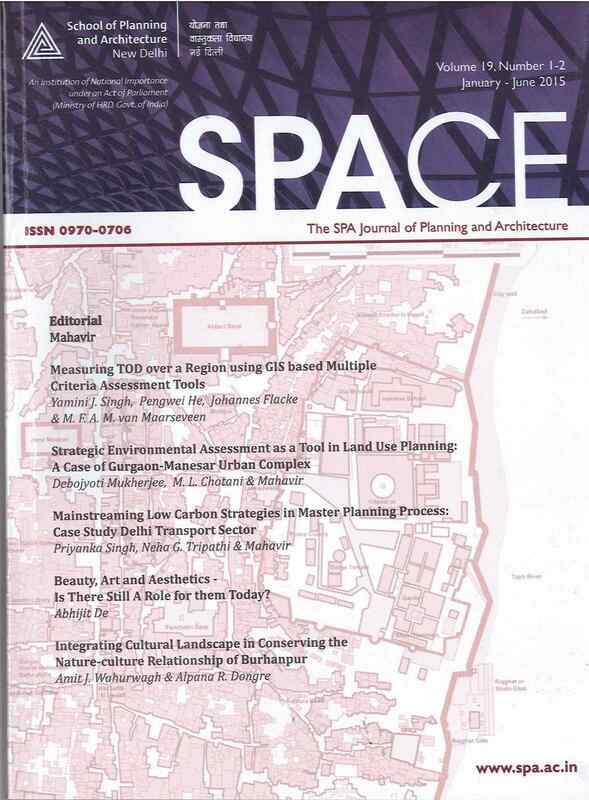 The School’s Journal from 1950's to mid 1980's was titled Urban and Rural Planning Thought, and was widely acknowledged as the foremost academic journal in this field. In 1979, the Journal was renamed 'SPA Journal', while in 1985 the Journal was further renamed SPACE, to reflect a more inclusive concept of many disciplines represented in the SPA. The Journal attempts to bring out a diverse collection of technical papers largely contributed by faculty and students of the School. M.A. Cons. (UK), Cert. in Archaeological Conservation, B.Arch.